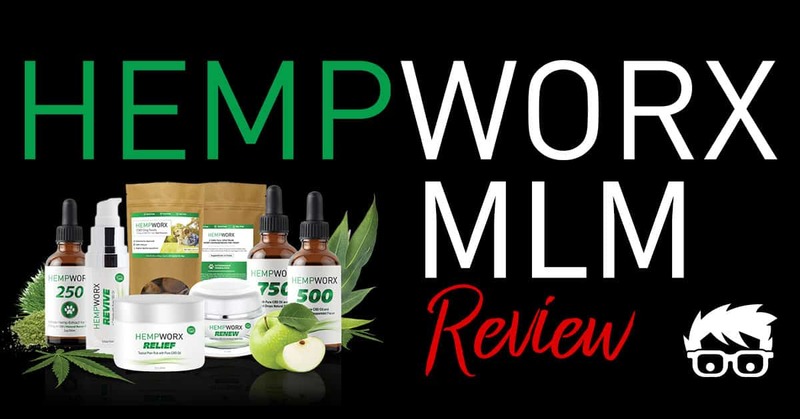 HempWorx MLM Review - Can You Make Money Selling CBD Oil Online? If you’re confused about what CBD is, that’s completely understandable. Let’s take a quick look at exactly what CBD is because it’s going to be important further down in this review. If you’ve turned on your television, check the news on the Internet or listen to the radio recently, then you’ve most likely heard that CBD oil is a very hot topic in the world of medicine and medical marijuana. CBD oil is sold in various places around the world, ranging from stores to online dispensaries in Canada. 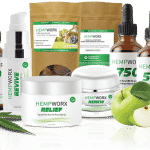 Now that you understand a little bit about the products that the HempWorx company has to offer, let’s talk a little bit about the business opportunity that the company is promoting. How Much Does It Cost to Join HempWorx? 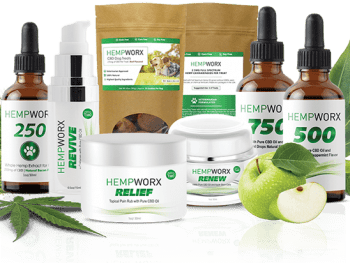 Just like many other MLM groups, there are a lot of different options when it comes to signing up for the “HempWorx business opportunity,” and it gets complicated quickly. This is because if you haven’t bought a pack yourself, and you will be paid for that month of sales that the people you “recruit” have generated. Can you Make Money with HempWorx? If you’re looking into the HempWorx business opportunity, then you’ve probably seen a lot of other people online claiming that they’ve earned thousands from the company. I’m not one to say whether they have or haven’t. In fact, I feel more than certain that they have. After all, people have been making a lot of money selling marijuana for centuries, LOL. Also, unlike true affiliate marketing programs where your paid based on how many sales you can generate, with an MLM, you often earn more money by recruiting others then you do selling products. Basically, this means that your success is dependent on how good the people under you are instead of how hard you’re willing to work. As I mentioned at the start of this article, CBD based products are becoming more and more popular. As research continues to come out, they will probably continue to gain even more popularity as a natural medicine in the future. It is important to note that there are some people questioning the quality of HempWorx products. While the costs of staying a member of the HempWorx business opportunity can certainly add up quickly, the initial startup costs aren’t that high. For right around $60, you can get started with the business, if that’s what you want to do. I’m personally not a fan of MLM opportunities, but it is much easier to earn money with the newer MLM then one that has been around for several years. Again, it’s important to remember though that many MLM companies are later shut down through government intervention. While there is a less expensive option to get started with the company, it is important to remember that you must continue buying a pack every single month before you can earn any money. It could become very expensive quickly to continue buying packs month after month while you’re getting started with your business. As mentioned in this Reddit post, the parent company that runs the business opportunity side of HempWorx is known as My Daily Choice, Inc.  This company has been around for quite a while and seems to be very unpopular, even among MLM business owners, involved with other companies. In some areas, products containing CBD are still considered to be illegal. More information on this below. Taking everything mentioned above into account, I have to say that I really don’t believe HempWorx is a scam. I do think that it’s a legitimate opportunity like those offered by MLM companies such as DoTerra, Thirty-One and even Avon. However, I do have a few concerns with the products being offered when it comes to selling them as a business. If you were an existing business owner in Canada that had invested thousands of dollars to get your HempWorx business started, imagine the frustration you would’ve felt when you learn that the company you had put so much money and trust in was suddenly illegal to operate in your home country. Yes, HempWorx claims that the 2014 Farm use bill makes their products fully legal, however there are a lot of people out there that have been arrested, prosecuted and thrown in jail for nothing more than CBD or CBD oils. If you have any doubts, a quick Google search for CBD arrests can really open your eyes to just how “legal” these products are. Jay, I have noticed other networking startups that are beginning to use the term ‘affiliate’ to disguise (I assume) the true nature of their multi-level marketing plans. I understand that MLM is a touchy, or at least a negative term these days for good reason usually. I spent 8 years living in Grand Rapids Michigan the home of Amway. I have heard every heartbreaking story you can imagine of the families that bought into that setup. Early on everyone made money, but like most MLM eventually, you get down to the often thousands of people at the bottom of the ‘downline’ that make nothing. They support the ones way up at the top of that line. Top MLM pros these days have a large list of people ready to sign up for any new MLM opportunity they offer to them so they have immediate profits and those at the end of his or her list are left out in the cold. I don’t really understand the mindset of the person who can live that way. How could you make your living knowing you are deceiving so many? How could you feel good about yourself? What worries me is this CBD sounds like it could be a valuable health tool and with MLM companies getting involved it could ruin the image of the medicine and cause people to move away from it because of that. Thank you for a detailed review of the opportunity. I have also not been a huge fan of multi level marketing programs especially after I was scammed by one. But I do like the idea of promoting the program while it is still new. I had decided to try it out until I read that they stopped promoting their products to Canadians. I’m not a Canadian but what if the same happens in my country? That would be a huge loss. I’ll go for your #1 recommendation instead. I don’t want to risk. Thanks for this very detailed review about hempworx. It seems they are doing what most other mlm companies do — which is to try and rephrase their business opportunity to seem more legit then it really is. On top of that, you said they were selling products that were also technically still illegal — which is another major concern for me. So taking your advice, I’ll go with your recommend choice and make make money doing actual affiliate marketing — and not try and join a mlm company. Hi Jay, I have heard of HempWorx from some of my friends and from what they’ve said, it’s a good company to invest in but like what you said, the main problems lies in its stability whether or not it’s going to get banned and thus because of this I’m going to stay away from this company. I see why this product might be so controversial after all that component of CBD comes from the infamous plant la marihuana, but I still don’t get why the government is not contributing to the benefits of this component after all its backup by scientific proof and is not some out of the blue claims. I am very much against MLM business models, as are many people, so it does not surprise me that your evaluation of HempWorx was not 10/10. Essentially with MLM, you are paying to play, and your money flows to the top members. The business model is not sustainable over the long haul. Add to the MLM factor the other facts such as CBD is illegal in many states (and in Canda apparently), and the risk of jail, I would not rate this HempWoerx as high as you did. Affiliate marketing offers a cleaner way to make money online I think. I do appreciate your subtle nudge in that direction with the article, I think you will save people from losing money, time, effort, and possibly their freedom! Having said all of that, I do think it is time to relook at the laws surrounding CBD possession and use, as they are archaic and not based on facts. Perhaps once that has been done, and laws changed, there will be real affiliate opportunities that involve CBD. All the research indicates it can be a very useful substance for many medical conditions. Thank you . One of the many MLMs that have found their way into my inbox. Because of my concerns about the legality of the hemp cb market not interested in purchasing anything I may get stuck with. Frankly cannot afford to waste # on mlms. Staying away. have you tried this hemp worx cbd oil to say what your saying to hold water, DOE’S THE PRODUCT WORK is the key question! all l’m getting is mixed signals. 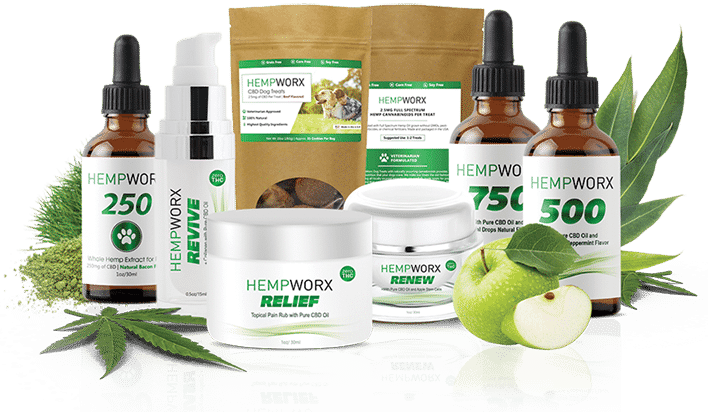 The company with a great product will make the company grow slowly but surely because it work’s based on all the feed back from consumers and all the studies that are provided on the cbd oil at Hemp Worx / My Daily Choice. I’m an affiliate of Hempworx. It’s a great product. Very expensive,and good luck making any money. I couldn’t even sell a bottle to my own friend’s. I have been a stay at home mom for the last 8 years and a baker for 14 years before that. I’ve turned down every single MLM company that has come my way. This all changed when a stranger suggested Hempworx to me. Our daughter had serious behavioral issues and violent tendencies. We were desperate to find a solution. She had been on ritalin for 2 years and it still didn’t help. Hempworx oil literally changed our lives. After me using it for 23 days my husband commented on how calmer I seemed, how I was sleeping hard at night, and I noticed how I had 0 night sweats, hot flashes, or migraines. We then gave it to our daughter who is officially off of Ritalin! She is happier and healthier. Webused to go to the doctor twice a month for weigh ins or because she was sick. Her epic meltdowns used to be 2-4 a week. Since using this oil. We’ve been to the doctor 2 times! Her meltdowns have only happened twice!!! February 23rd will be an entire year! My father in law is off morphine, my mother in law is off her high blood pressure meds….no one in my entire extended family has used Tylenol or Advil in almost a year. Having said all of that, I had never been a affiliate or rep for any company before this. Feb 23rd will be 1 year since I joined to sell and I’m pretty darn pleased! I’ve made almost $16,000 dollars and my car payment is getting paid monthly! I’ve had a girl 2 levels below me make $2,000 in her first month! CBD oil IS legal in Canada but they chose a different CBD oil to be allowed to cross their borders. One of the top affiliates in hempworx is super affiliate. She makes millions a year. She lives in Canada but you can have a online business from home! She has ROCKED her CBD Hempworx job. Thanks to the worldwide web, anything is possible with MLM. Hempworx ships to all European companies. I stay at home with our 4 year old, but proudly represent this company. Am I making millions yet? No. Are people making millions above me? A MLM is no different than a large corporation with a CEO, president, Vice President, Director, Manager, Supervisor. Employee. The man at the bottom always makes far less than the man at the top. The cool thing about MLM companies that carry products that work, and pay up to 85% like Hempworx, is the products sell themselves and I can climb to the top way faster than any other company like Target. McDonalds, Starbucks, Etc…..your business is only as great as the work or effort you put into it. I’m bringing in a lot of money and had no experience, and I’m not having to pay a baby sitter! THATS HUGE! Most of these comments above me are from 2018. Can you imagine where those folks would have been if they had taken a chance? There are people that are passing me by and making $3,000-$6,000 a month and they joined after me. I cheer them on! We are making a huge difference in people’s lives by sharing about these products. and cheering each other on along the way. I tell my team to reach down to those below and pull each other up to the top! Hempworx has INSANE training 24/7 worth thousands of dollars for free! As far as legalities, our company follows FDA laws. Hempworx is legal in every single state. The CBD is derived from HEMP and not marijuana. CBD derived from marijuana is illegal in almost every state. Hempqorx made 7 Million in the first year and 100 MILLION in 2018 and the company is 100% debt free. It was just named the number one MLM company in the world. Hempworx is definitely the MLM to consider. I’m so grateful for the products and for the extra little income. Wow Robin! Thank you for your insight and sharing your CBD Oil story with me. Appreciate it.